The best thing about warmer months is definitely the fruit. Who needs candy when there is ripe fruit like strawberries, mangoes and peaches? 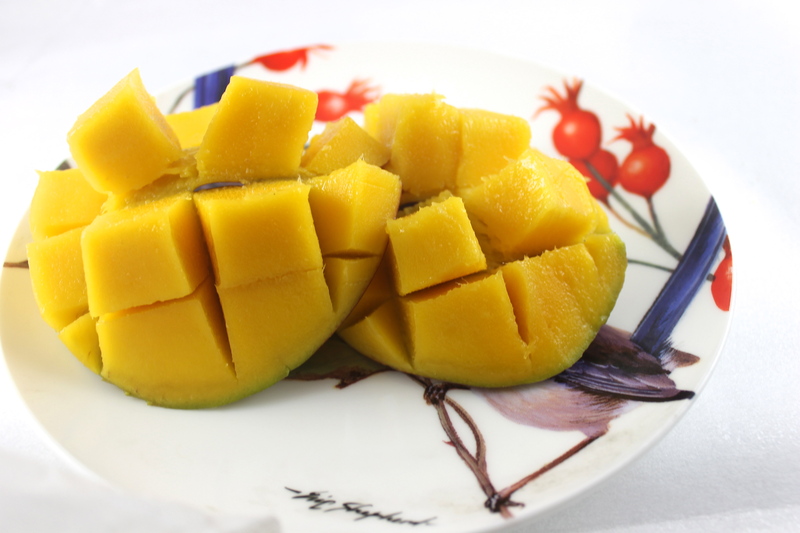 Mangoes are by far my favourite fruit, and when I lived in Australia they were much easier to come by and buy in bulk. My dad even has a huge mango tree in his backyard, but the bats and possums usually get to most of them before I do. 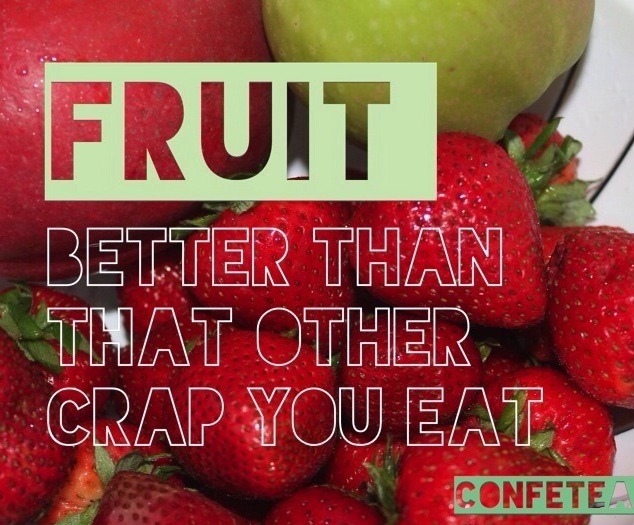 Overall, I could choose fruit any day over candy. Especially since I have completely changed my diet and started eating properly, I crave fruit and very rarely crave candy of any kind. I have cut out all sources of sugar from my diet except the sugar found in fruit. Sugar is definitely necessary for your body to function properly, and most energy, even in plants, is created by breaking down glucose. I’m not a fan of soda, and I have never liked fruit juice because I think that I would never eat 10 apples, so why would I drink the juice of 10 apples? I’ve never been big on sweets anyway, but one thing I will admit that was hard to cut out was alcohol, possibly because I may be an alcoholic. Okay I’m far from being an alcoholic, but having a drink now and then is relaxing, especially on the weekend when everyone else is drinking. The sugar content of alcohol is through the roof though, and drinking would basically cancel any workout I did for the day, or any healthy food I ate. Not worth it. I’m okay being the dud at the party with my bottle of H20. I went full Aussie with this picture and used a plate with artwork of Birds of Australia by the artist Eric Shepherd. I also know that all fruit has many health benefits, but being someone who is obsessed with the health benefits of the food I eat I had to look up the specific health benefits of my favourite fruit. 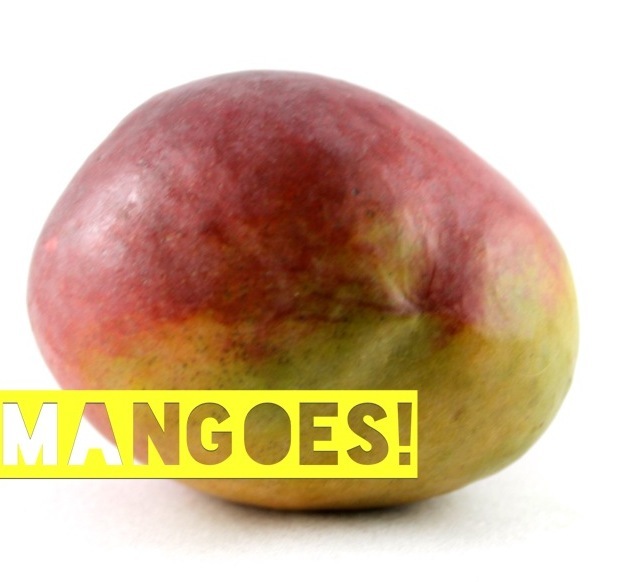 I wasn’t surprised to read that mangoes are full of vitamins, but I was surprised to read that mangoes have an alkalizing effect on the body that can balance ph levels. It can also aid in weight loss by aiding in digestion and burning up extra calories. All the more reason to keep eating them! Oh that sounds awesome! I would love to live in Canada myself but it’s hard to get a VISA unless you have skills to offer. Did you live in Australia as well? With the mangoes, they don’t have much smell here either so the best ones are the ones that are most red/orange rather than green, and are slightly soft. ooh thanks for the tip – I havent bought any because they didnt actually smell like mango and I didnt want to end up with one that tasted like nothing too. The fact that they don’t smell all that great is probably why my husband isn’t a fan haha. But it works for me because I get to eat them all. Anyhow sounds like you’ve travelled quite a bit! I love traveling and I’d love to live in different countries throughout my life. You experience so much more when you live somewhere else, rather than just visiting.